As Nikken Business Builders from across Europe made their way to Paphos, Cyprus, the luxury beachside Coral Beach Hotel and Resort was laced with KenkoAir systems and PiMag Waterfalls. As guests arrived, a positive energy in the atmosphere seemed to rise. Workshops were planned throughout the stay and proved extremely successful. Seeing the Consultants network with one another, sharing their own stories, goals and plans with each other really was heartening. Being a member of the Presidents Club meant that they were treated to an extra day in this beautiful country. A workshop allowed members to share future ideas and plans as well as personal stories before moving on to a hot stone experience at the Award Winning Oliveto Restaurant. It really was an energising way to get the week started. The energy at the convention was incredible. The liveliness alone was enough to make the convention a success. As presenters bought their own specialities to the stage, the consultants were enthusiastic to not only listen and learn, but encourage one another too. New Products, the Future of Nikken, Success Stories, Website Plans and so much more was discussed throughout the convention, but the energy levels did not seem to drop. Between the Convention and the Gala Dinner, consultants and staff transformed in to Gods and Goddesses. With Nikken branded Toga’s, Greek Dancing and Entertainment, the theme of the night was really bought together. Consultants and staff alike danced long in to the night, the perfect end to a great week! 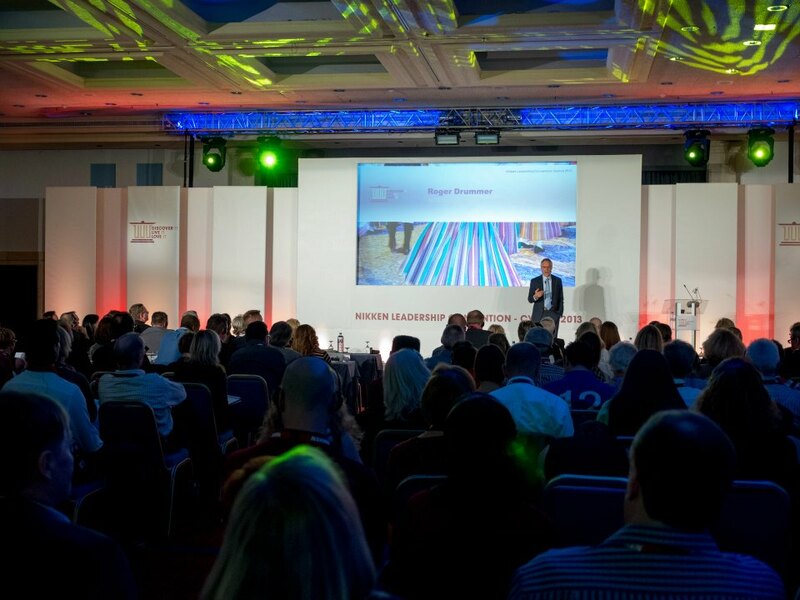 The feeling of being a part of this wonderful Nikken Family is so strong, and Cyprus illustrated the exciting magnetic energy that consultants bring with them to these types of events. The dynamism that was present throughout our stay was contagious not only amongst the consultants, but the Nikken team and Hotel staff too. Calling All Leaders in Scandinavia!!! Important Announcement! This time last year I was getting ready to visit Olso, Norway for an incredible weekend of training, instruction and motivation. The event was hosted by Morten Andersen, Royal Diamond and we had the privilege of a very special guest – Chris Gullo, Royal Diamond from the USA and Chairman of the Royal Alliance. The energy was amazing. If you were there – you will remember well! In fact, the results from that event created a visible difference in the business in Norway, Denmark and Sweden in the following months. These countries became the biggest sellers of the new Sports Bottle when we introduced it last year. There was immediate action that grew the business! I am pleased to say that this year – there is another kick off! Tony Chaplin, MD for Europe, myself and Chris Gullo will all be in attendance. Why? Because it’s that important! Will you be coming? I hope so. I have attached the PDF of the registration form for you so you can sign up and come along. This will be an intense couple of days in the first weekend of February. Should you have any questions, please contact Morten Andersen who is hosting the event. On Monday the 4th, immediately following the kick off event, I will be hosting a Silver training for everyone who registers. Please be sure to sign up for that too 🙂 This will show you how to get profitable in the first 90 days of business and help others to do the same. Duplication is king and this programme helps to facilitate that. Plus you will come away with a clear and specific plan of action to follow. Here is the sign up form for the kick off. Please contact Customer Services for signing up for the Silver training. You can now start counting down the months left until the Nikken Leadership Convention. January isn’t that far away so we hope you are working hard, as it coming to the end our leadership contest too. Let’s hope you are a winner, and get the opportunity to join the many other consultants at the luxury, all inclusive Coral Beach Hotel & Resort in beautiful Paphos, Cyprus. Following the great turn out in Turkey last year we are hoping you are super excited about Cyprus. Our fair goddess Miss Aphrodite allegedly rose from the sea at Paphos, now so shall you, becoming your own gods, learning and experiencing at our convention in this Mythological town, becoming the best you can be. Monday, January 14th 2013 is when our Presidents Club consultants will be arriving; a welcome drinks/reception will be taking place to greet you into this exciting environment. Day 3 (Wednesday) of the trip is a free day for excursions and Consultant led workshops, you can either enjoy the glowing views of Paphos or enjoy learning even more about Nikken to plan yourself for 2013. Day 4 (Thursday) is the big day of the convention, running all day; you will experience, our speakers including the Master Tonic Chinese Herbalist Roger Drummer and our CEO Kurt Fulle, and find out about a new product range ahead of everyone else. There will also be recognition for our top consultants. The day will end with a fabulous cocktail reception running into Gala dinner with some great entertainment & a DJ till the early hours of the morning, so you can dance the night away. Final Day (Friday) will give you another day to relax and enjoy the atmosphere of Paphos with excursions available, along with the opportunity to take part in more Consultant led workshops. This will all leave you feeling relaxed on your last day. Finishing off the day will be a farewell dinner, where you can celebrate one last time how fantastic you have all been. I hope this encourages you all to figure out how to win the contest and get a place to enjoy this amazing country and beautiful resort. 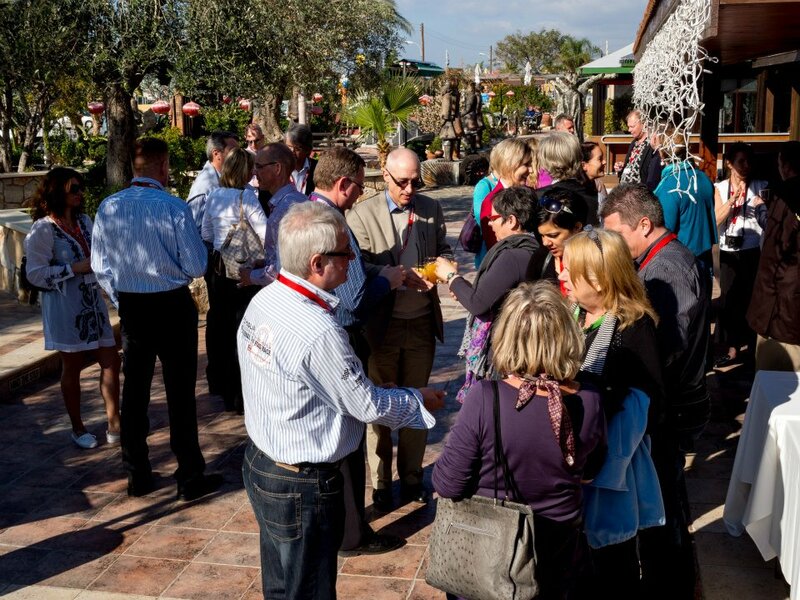 Kick off 2013 in Cyprus! Cyprus is known as ‘the playground of the gods’, and for good reason too – Aphrodite is said to have risen out of the water near Paphos. We will be taking our ‘Nikken gods’ to Paphos, Cyprus for the Nikken Leadership Convention 2013 (15 to 19 January)! Known as the year-round island, Cyprus lies at the crossroads of three continents – where East meets West and new experiences are always waiting to be discovered. There is so much to do on this beautiful island that it is difficult to know where to start. The English crusader, King Richard the Lionheart, wed Queen Joanna at Limassol Castle on 12 May, 1191. To this day it is the only foreign venue at which an English Royal Wedding has been hosted. 371 species of bird can be seen on the island of Cyprus. More than 45 beaches on Cyprus have been awarded the EU Blue Flag for cleanliness and safety. Cyprus is known for its sandy beaches, but there is so much more to it than that! Get out and enjoy nature by going trekking or riding around the picturesque villages to take in the gorgeous scenery. If you’re interested in history and archaeology then this is the place for you! There are so many churches and ruins to explore like the House of Dionysius – a must see for every visitor to Paphos. Lying between the harbour and the lighthouse, the House of Dionysius lies within a Roman villa filled with mosaics of various mythological compositions. Thus how it got its name of Dionysius, the god of wine! But it’s not just Dionysius you’ll find here, also be on the lookout for Narcissus, Poseidon, Apollo, and countless others. The Cypriot night life is rich and varied ranging in everything from discos to traditional tavernas, where you can try local foods and drinks such as kolokasi, commandaria, and of course halloumi! Eating out to capture the local flavour is the high point of the holiday. The meze with its olives and dips is always the starting point. Quite often followed by fish of some sort, moussaka, and it only keeps going. Cyprus’ location allows its food to combine foreign and local flavours for something really special! 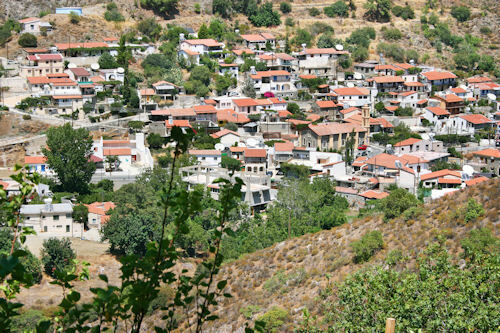 Cyprus has something for everyone making it the perfect destination for our contest trip! So get out there and start working – the qualification period is only from 1 June to 30 September 2012! If you would like more information on how to qualify and contest rules please visit MyNikken. 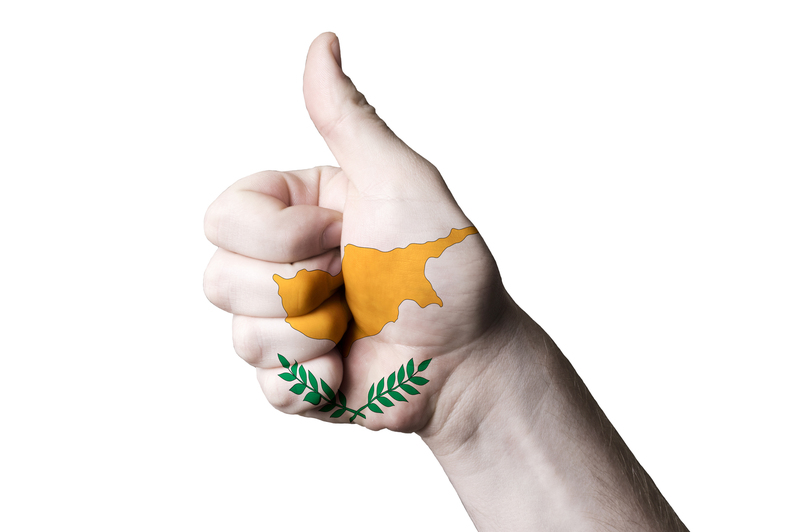 For more facts and to keep up to date with all the exciting news please ‘like’ Nikken Europe on Facebook or join the #Cyprus2013 conversation on Twitter!